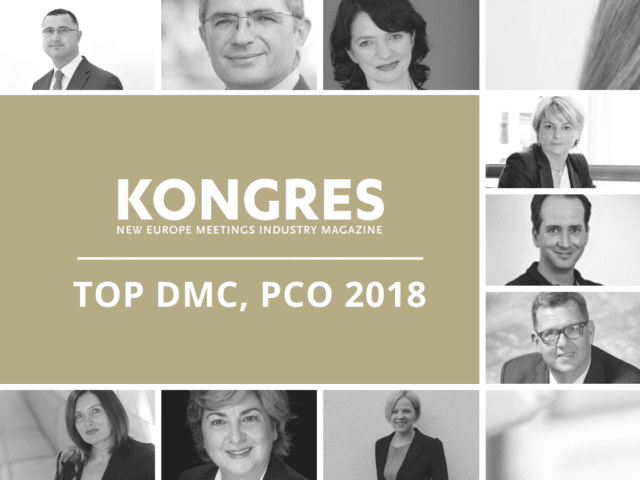 Have you ever wondered just who the top influencers in the New Europe Meetings Industry might be? As the industry rapidly evolves, it is clear some key influencers actually have the same reach and draw as big companies, so individuals matter in a way that has never been possible before. Innovations that facilitate the work of meetings organisers, or have in their own way steered the future direction of the industry. Based on the 730 individually completed surveys, Kongres Magazine has analysed and shortlisted the TOP 60 most influential people. They have all contributed to the development of the region and our readers have chosen the best of the best. We have also added 2 newcomers in each category, voted by our readers. Andrew founded Mazurkas Travel with two partners in 1990. Today, Mazurkas Travel is the largest privately-owned company in the tourism sector in Poland and a true success story. The company operates in all aspects of tourism: MICE, FIT, leisure, and employs 60 people in the incoming department, 35 in transportation and 110 in hotel and catering. Among the biggest achievements in the PCO area are the most important events organised in Poland in recent years: World Youth Days, NATO Summit, COP19, Polish Presidency of the EU Council. Barbara Hunt Vodopivec was first actively in touch with tourism industry during her postgraduate studies in London, UK. After several years of working in marketing and PR industry, she became again »ambassador« of Slovenia, this time in Paris, France. Working closely with Slovenian Tourism Bureau in Brussels, she was conducting their promotion projects all over France. Currently, she is leading a Mice team at Kompas DMC, organizing incentives, seminars, conferences, and events for mostly foreign partners in Slovenia and the entire region. Intours reached its zenith moment in 2013 when the company recorded impressive business results and increased the brand awareness. They broadened their regional presence, grew their market share and expanded the team. Nowadays Intours DMC team accounts for 15 team members in Slovenia (Ljubljana) and 15 in Croatia (Dubrovnik and Split). Besides incentive B2B events in Slovenia and Croatia, they also operate in Montenegro and in 2017, they have organized more than 120 MICE events and countless leisure events. DT CROATIA is recognised in the market as a company that steers the trends of regional DMCs. A clear marketing strategy and a systematic operation are visible at both the service level of co-operation with the most demanding clients as well as in the credible results, which were reflected in receiving many Business Awards and AAA Diplomas. Daniel is heavily involved in the meetings arena, also as a member of peer associations and the voice of the convention industry of Croatia. Stefan Heissel is a Co-owner and Co-Managing Director of insipiria event service which is a full-service event agency based in Salzburg and established in 2001. It offers all services in the broad field of event and meeting organisation and incentive travel. It develops concepts in the MICE segment for SMEs and large companies in all fields as well as for international institutions and private events. Its 10 employees and an extensive network of freelancers run 50 projects a year. Sanja Vukov Colić is an experienced Deputy CEO with rich experience in leisure, travel and tourism industry. She has been the Eupty CEO at Spektar putovanja since 1994. Spektar putovanja, the most recognised of Croatian PCOs has been achieving excellent results on the market and it has been achieving quality management and setting high business standards since as far back as 1989. They have received the ISO 9001 – 2008 certificate, have reputable international partners and have organised over 20 conferences annually. Annamaria Ruffini, CIS, CITP, CMP is the founder, president and CEO of Incentive House and Dmc Events In & Out S.R.L., based in Rome – Italy. She has long experience in the Meeting & Events industry having been involved in the motivation and incentive industry since 1986. Annamaria has been a SITE member since 1996, was elected to the SITE International Board of Directors (2013-2019) representing Europe and is currently serving as SITE President 2018. Congress and Events Management Director of CD Congress Centre Ljubljana since 2006, Breda Pečovnik is currently a member of the Slovenian Convention Bureau’s Board as well as the professional international associations of ICCA and IAPCO. She also teaches congress management at a college and faculty in Ljubljana. Natalija joined Go.MICE/Toleranca Marketing in 2008 with ten years of experience as a PCO behind her. Together with her team of MICE enthusiasts, she has proven that the organisation of a successful congress involves not just logistics, but also creativity and innovativeness. Conventa is one of the projects that she has been involved with from the very beginning and this concept of regional B2B events has also been successfully transferred from MICE to the Spa & Wellness industry, as well as the active tourism field. With 40 years of experience in the travel, industry Globtour Event is one of the leading Croatian travel agencies specialized in business travel, meetings, events, and destination management. Vesna Pritchard’s team consists of a group of motivated, passionate people who are dedicated to the work they do, sharing a common mission, vision and values in order to provide their customers with the very best service. The Austrian based family-run company Mondial GmbH & Co. KG was founded in 1966. Mondial nowadays comprises four business divisions – Congress-, Destination- and Travel-Management, and Corporate Events & Incentives, with 172 team members in total. Daily room allotments in more than 750 hotels in Central Europe, in-house ticket office, tailor-made tours and transfer services – these are just some of the elements making up the portfolio of Mondial’s Destination Management. Its Vienna office is managed by Wolfgand Lackner. In 1982, Christina Drakos, at the age of 23, had the vision to shake the travel industry on the island. By setting up Drakos Travel as a purely Destination Management Company she tapped into a then niche market of corporate and events travel. Being the first to book major conferences and incentives on the island meant a lot of innovation from the start. Since then, the Drakos DMC has been a pioneer in the field of Destination Management in Cyprus and a member of numerous international professional associations.